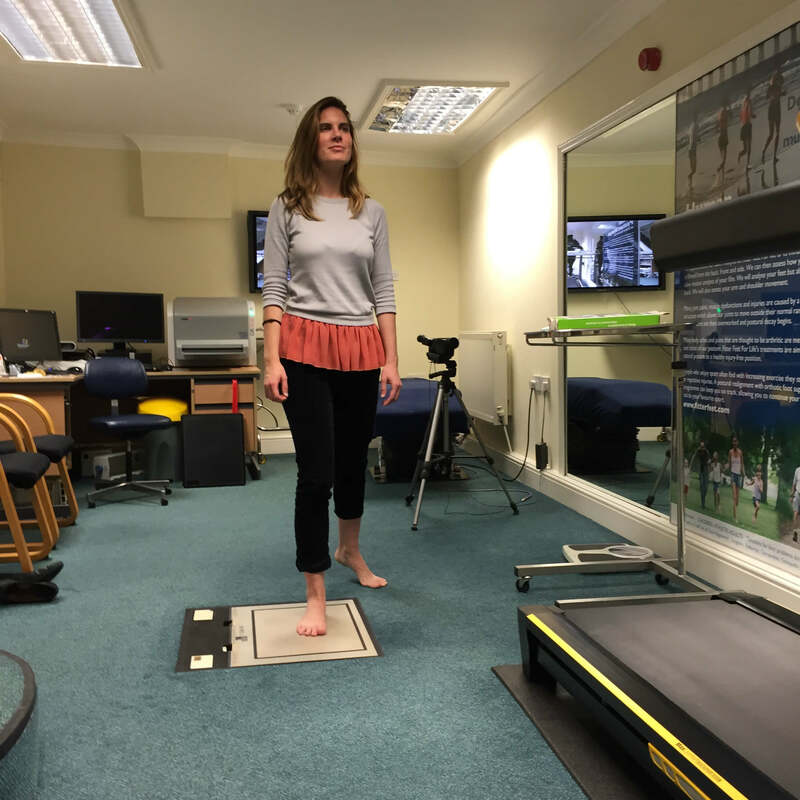 In addition to slow motion gait and posture analysis using a treadmill and video cameras, Fitter Feet For Life offers pressure plate gait analysis which offers a more detailed analysis of your movement. Computer sensors in the floor measure the pressure under each part of your foot. 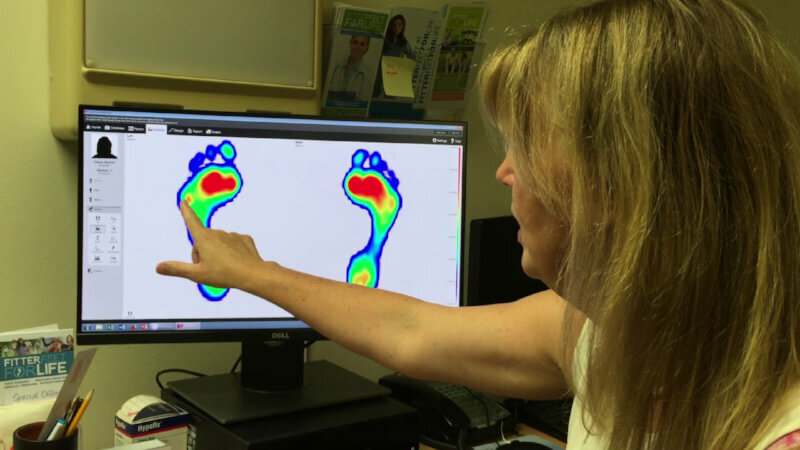 Higher pressures cause pain and degeneration of your foot structures. These sensors also measure the time you spend on each foot, and the speed each of footstep. Feet that exhibit different measurements have been show to cause an abnormal pelvic and lumber spine movement. This type of asymmetry can be responsible for pains in the lumber back, hips and knees. 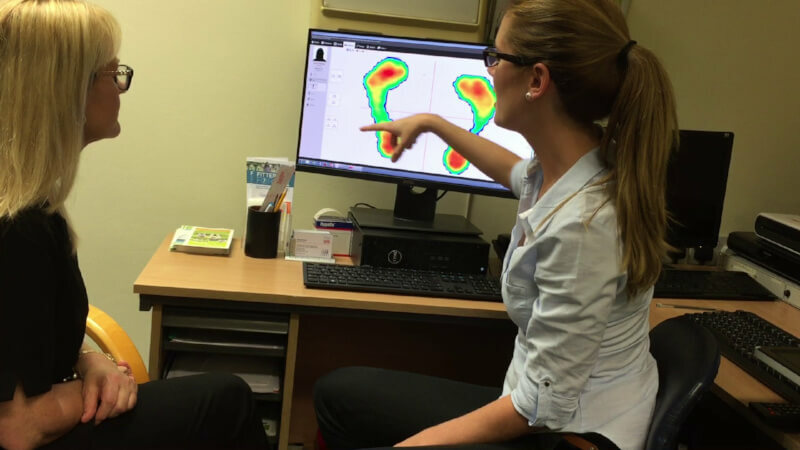 The sensors are connected to a computer which analysis your movement and provides a comprehensive report, charts and graphs which help your podiatrist assess your gait and determine how best to help you with, for example, the correct orthotic prescription. How pressure plate gait analysis shows where you weight is. 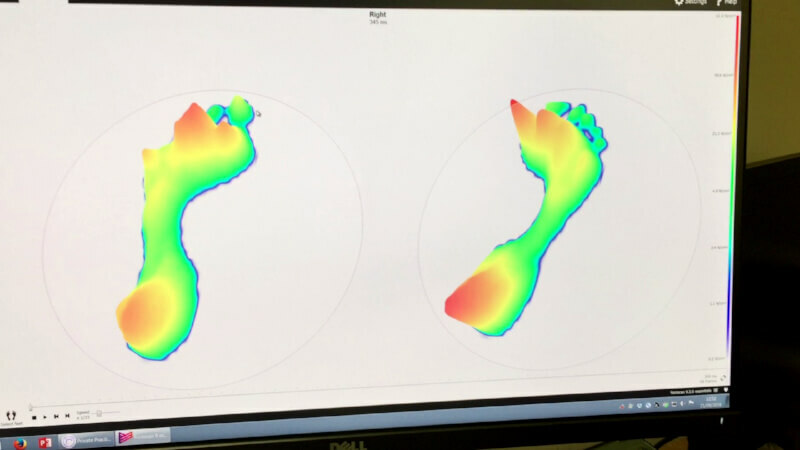 Comparing pressures between left and right feet. Pressure should be the same. Pressure plates demonstrate differences.